WeChat (Weixin in China) is the essential platform for any company interested in the Chinese consumer, at home and abroad. It’s also a glimpse into the digital future. For any company building towards our own digital payment and Augmented Reality (AR) future, WeChat is a live platform supporting corporate accounts, apps, and messaging services that already generate $2 trillion in mobile payments and billions of offline to online interactions. WeChat is a mobile app that started as a messaging service and in seven years evolved into a foundation of China’s digital ecosystem that is used by 963 million people. Numbers outline its scale: WeChat has a higher penetration of China than Facebook has of the United States, consumes 29% of daily use for all mobile apps in China, and is used 90+ minutes per day by 50% of its users. The hybrid physical-digital future AR future has already arrived, in urban China, and is woven together from WeChat threads using clever cultural strategies to exploit technologies the West tried and waived. Entire businesses are founded and operated on WeChat’s platform and its services. Such is its impact, depth, and reach beyond the digital world that companies with an interest in China’s consumers-- in China or abroad-- must integrate Weixin’s platform into corporate strategy. And such is China’s lead in bridging the offline to online world that companies developing strategies for our mobile and AR future must consider building a WeChat app even if it is only to begin wrestling with the coming changes. WeChat succeeded in marrying simple physical actions to digital services through promotions tied to Chinese cultures and holidays. Depending on the context, a quick shake of the mobile phone will connect you with a random person somewhere in the world, enter you in a holiday contest on TV, or request a coupon while walking past a store. The conscious physical act pulls digital information relevant to the current physical world. In WeChat, QR is AR. 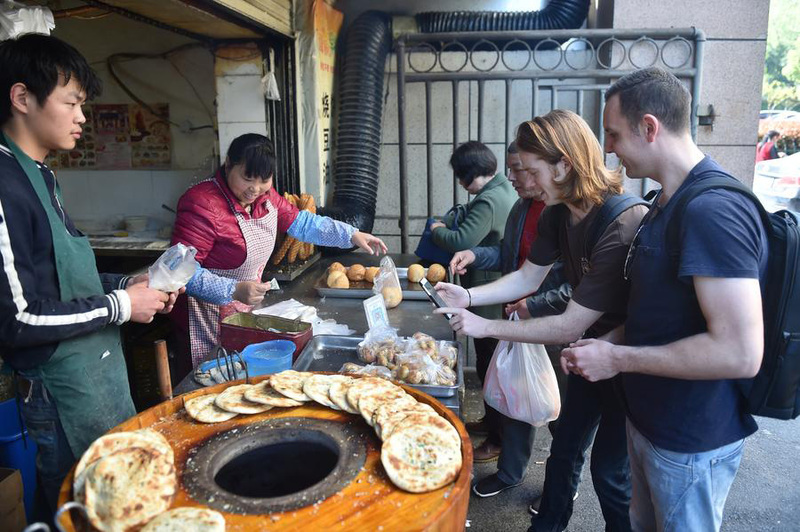 WeChat users scan QR codes to exchange contact information, become friends, learn about a job offer, order food, trace a vegetable’s provenance, register for contests, and donate to charity. QR codes are printed on paper, tattooed on necks, unfurled on buildings, landscaped from bushes, flashed on TV screens, projected from digital screens large and small, encased in laminate, painted on walls, embedded in stone, and taped to lampposts. In WeChat, currency is QR and virtual. In 2016, $2 trillion of mobile payments flowed through WeChat-- leaping past the West with 10 times the amount of all US mobile payments-- as users paid for taxis, vending machines, street food, restaurants, ride shares, doctor’s appointments, fruit, beer, train tickets, bikes, even municipal permits. Cash, indispensable just four years ago, is no longer needed in urban China, and often not accepted. Weixin built momentum for this leap by digitizing and then expanding a Chinese New Year tradition, giving virtual red envelopes filled with digital WeChat cash through its messaging services to bring good luck to friends, families, and acquaintances in the coming year. 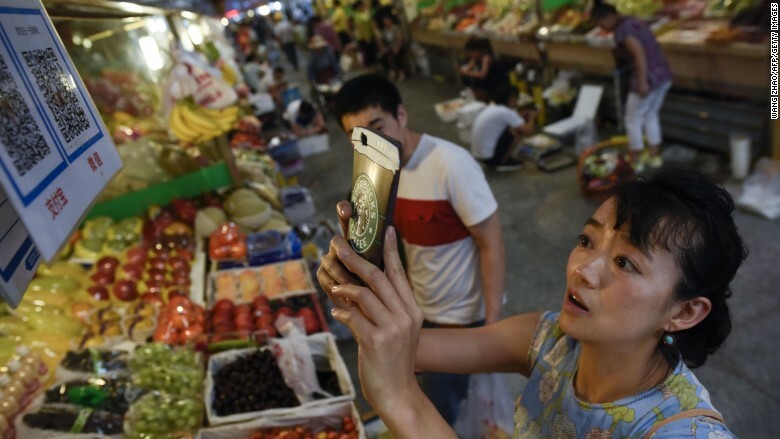 WeChat transitioned one cultural tradition to the digital future and others followed. For Western companies with an interest in the Chinese consumer, WeChat is the vital entry point. Starting at home, companies offering a simple WeChat account become visible to millions of Chinese tourists and students. As companies layer in more sophisticated interactions using physical motions, QR codes, and payment threads, the relationships deepen, intensity, and generate revenue while building experience for our own AR future. For Rocket Insights, WeChat is another bridge to the future. Like voice skills for Alexa and other projects, WeChat’s early AR is a massive opportunity to design and build the technologies and strategies that span the local physical world to the digital, and the present to the future.